SOLD. 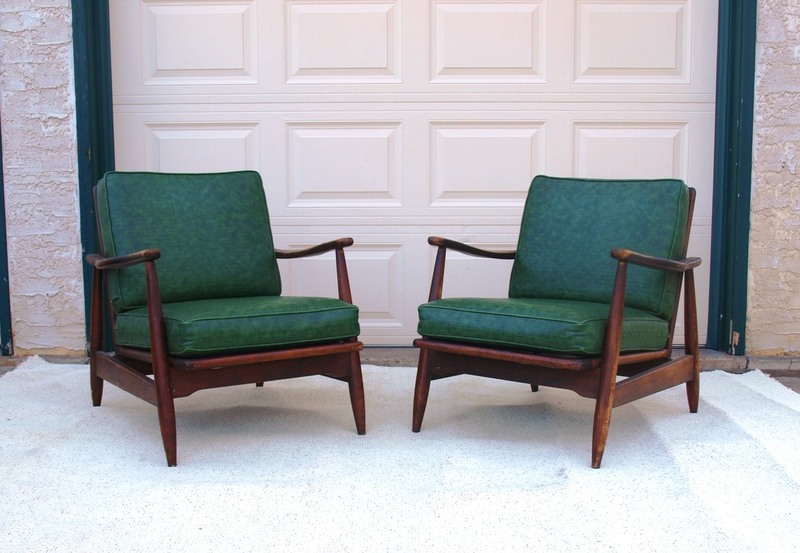 Pair of Mid Century Modern Arm Chairs. 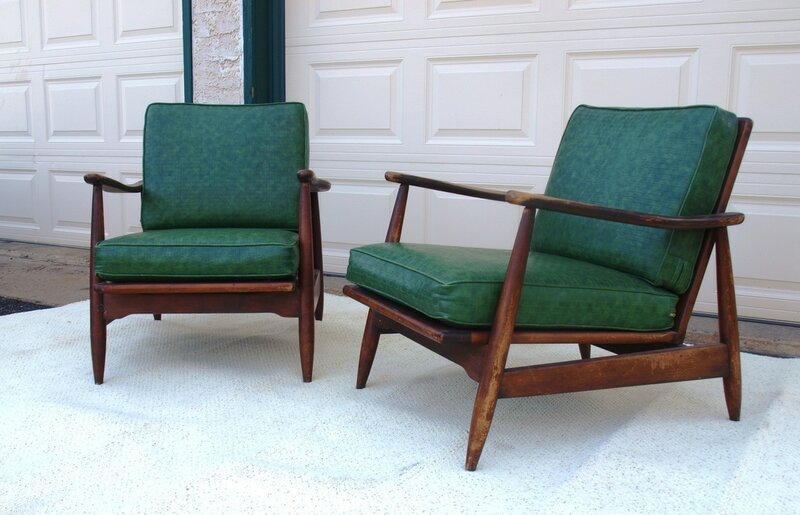 Great Pair of Wood & Leather MCM Lounge Chairs. Gorgeous Woven Patterned Green Leather (not original). Very Good Vintage Condition. Signs of Wear Typical of Age, Material & Use. 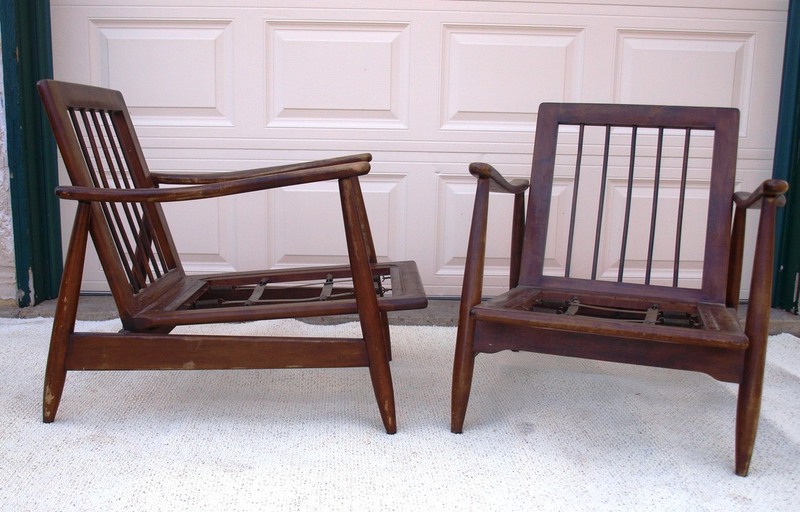 Visible Wear to Arm Rests (seen in photos). 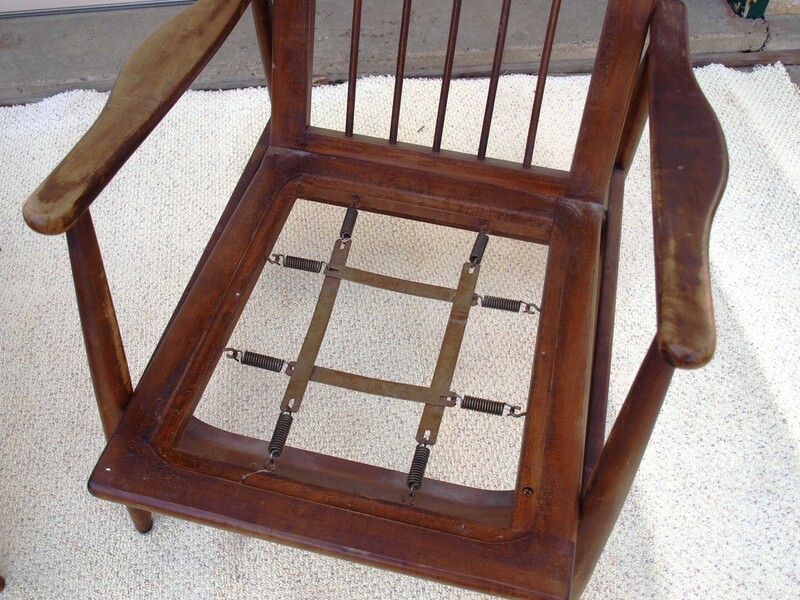 Overall Chair Dimensions: 29w x 30.5h x 35d. Arm Height: 23.5" in front, 21" in rear. Seat Height: 12.5"